Before proceeding to describe the trading advisor, I would like to make a digression from the topic and define the terms. Many traders spend a clear distinction between pipsing and scalping. Despite the fact that both strategies are intraday, the difference therebetween is still there. When a trader is scalping to profit taking in a few points (pips) using the maximum position sizes. This is a potential profit of 2.10 points and the same risks. But scalping involves taking a broader movements (20 to 70 points), opening a less aggressive manner. Here we will not discuss the pros and cons of the above trading strategies, and proceed to consider trading advisor for scalping. Among traders using advisers for trade in the FOREX market such adviser as ILAN is very popular, about it and speech will go. It is necessary to begin with that the adviser of ILAN not automatic, but mechanical, that is is necessary control from the trader. 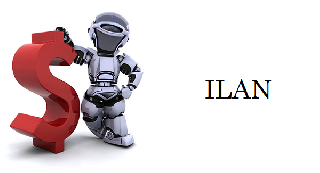 The adviser of ILAN is intended for the short-term trade based on fluctuations of exchange rates on the FOREX market. The adviser closes open transactions itself at achievement of a certain profit level (teyk-profit). Stop лоссы in this strategy are not provided. What the adviser with unprofitable positions does? The mechanism of adaptive averaging of a cumulative position is applied to a conclusion of unprofitable transactions in profit. There are many trading advisors online. Charged and free. Simple and hard. Clear and complicated. Profitable and unprofitable. With so many trading advisors available, a trader must encounter the best one for increasing personal account. 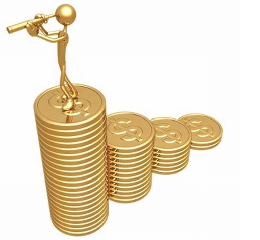 It is understandable that the best Forex adviser may be created by a trader himself based on his own trading strategy. But when a beginning trader without a thorough understanding of the market and its functioning mechanisms starts trading, it is essential to choose the best available adviser. By “available” we mean charged and free forex advisers, which may be found on the internet. While free forex advisors are easy to deal with: you may download and test them, you may try to figure out the code, the charged ones are much harder to work with. The situation is aggravated by a high number of frauds on the adviser market, they sell a fake which you find out only after buying it. After the money is spent. How to distinguish which one is worth using and which one should be avoided? Are forex advisors traders’ unfounded hopes? As we discussed earlier trader’s trading strategies can be fundamental, mechanical and automatic. It was the availability of automatic strategies on forex market that foreshadowed the development of trading advisors. Trading advisors on forex market- are software products that analyze the quotations and other information (more rarely) with a specified algorithm and/or prompt suggest indispensable actions or perform given operations independently. 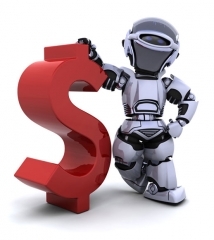 Thus the basis of a forex trading advisor is the algorithm of analysis and trading decision making. The main goal of creating advisors is to shift analytical labour from human trader onto a trading robot that does not have emotions or make psychological mistakes. Trading advisors that work autonomously (make deals independently without human assistance), allow avoiding the influence of human factor on eventual result of the trade.